Used 2006 Harley-Davidson Dyna™ Low Rider® Motorcycles in Elkhart, IN | Stock Number: 300542**. Descended from the original factory customs, the Dyna™ series lives at the crossroads of style and performance. Born of an undying urge to chase far-flung horizons. This year, the family gets a wheel-to-wheel redesign. One look and you see the machine is substantial in every detail. From the mass of the 49 mm raked forks to the muscular 160mm rubber in back. On top of the new tough look, you’ll notice performance upgrades, too. Beginning with a whole new gearbox. The all-new 6-speed Cruise Drive™ transmission is ready to kick its legs out on the open road. The clutch takes less effort to pull, making all six gears even more satisfying. A new frame, new 1" front and rear axles, and a wide swingarm make handling tighter than ever. Also for 2006, you’ll find all Dyna 1450cc Big Twins equipped with consistently smooth-operating Electronic Fuel Injection (EFI) standard for the first time ever. You might find it hard to believe, but we did all this without compromising affordability. 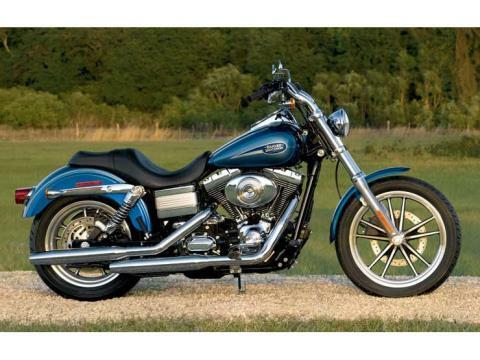 No one but Harley-Davidson® could ever take the factory custom to a place this good. 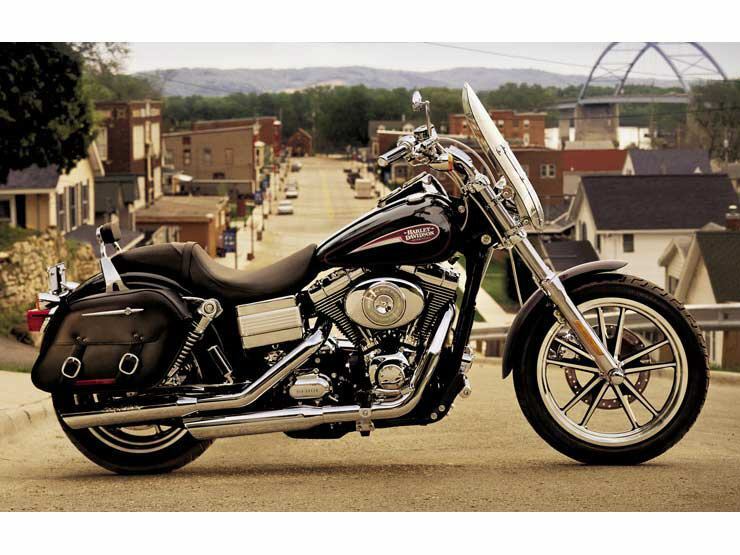 Ask anyone in the know to define a Harley® and you’ll undoubtedly hear the words long and low. The Low Rider® has always pushed that envelope. This year, it gets 49mm forks, new stylized low-profile suspension and cast wheels. 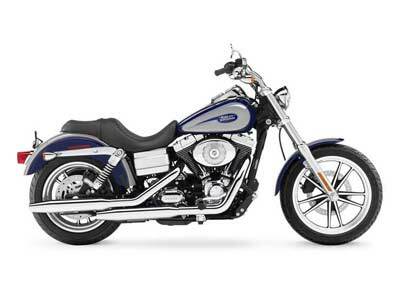 The low-slung custom seat is less than 26" high, so it’s easy to put boots on pavement. 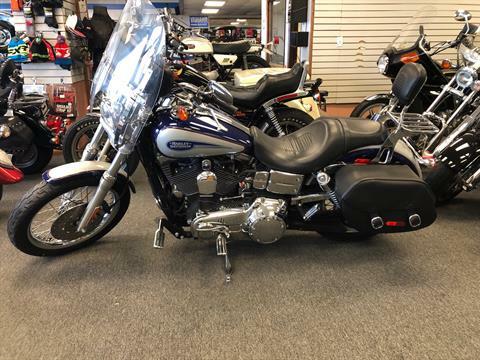 The ride feels good thanks to pullback handlebars, mid-mount controls and highway pegs. New handlebar-mounted indicator lights, new tank graphic and tank-mounted speedo/tach. The Low Rider also gets the new 6-speed Cruise Drive™ transmission mated to the powerful Twin Cam 88® engine. That’s plenty of go with your long and low. For a limited time, we are offering one-of-a kind, custom color combinations that are over and above the standard two-tone color options available during the model year. These limited color combinations come with a custom decal that is only available through the Custom Color program. Each color has unique complementing pinstripes.